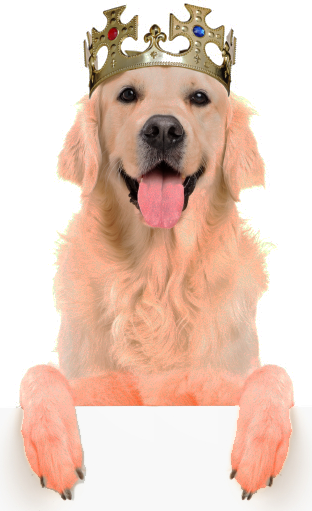 VetsMediCover provide high quality pet insurance. Intelligent underwriting, a user friendly application and outstanding customer service ensure we stand out from the crowd. Most importantly, we are dedicated to efficient claims management as outlined on our claims page. Please read the kind words that some of our brilliant customers have sent to us. If you have any questions contact us info@vetsmedicover.co.uk and we will get back to you as soon as possible. At VetsMediCover our kingdom is ruled by reliable simplicity. 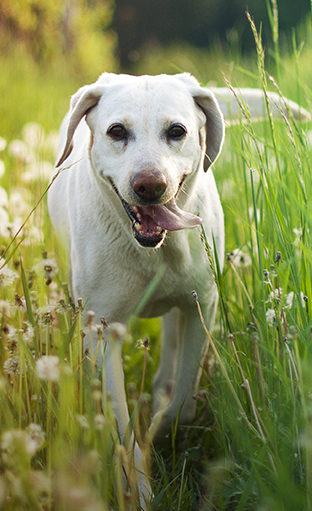 The core features of our pet insurance plans are detailed on this page and throughout our site. If you would like to read the detailed documents for yourself, the full policy wordings are available to download. Our lifetime (Gold, Platinum and Diamond) policies provide cover for any pre-existing condition that has been symptom and treatment free for 24months. It can be very difficult to find cover for pre-existing conditions as there are often complications that can lead to claims. However, if our underwriters see that the condition has totally healed then we can offer you full cover after two years. Lifetime cover is provided for up to the limit as shown on your Table of Benefits per each specifically identifiable condition or accident. Our lifetime policies are the Gold, Platinum and Diamond policies and each offers a different level of cover. Every year when the policy is renewed, cover will reinstate and the limit of cover restored. The 12 months policy has been designed for owners looking for great value pet insurance to help with the cost of veterinary fees to treat injuries or short-term illnesses. It provides cover for up to 12 months for a condition arising after policy inception. In addition to vets' fees, the 12 months policy also covers third party liability, loss of pet by straying and complementary therapy treatment. The 12 month policy Cover is provided for up to 365 days only from the date of the occurrence up to the amount specified in your policy limit. The condition will then be excluded from your policy. "After taking out several unsatisfactory insurance policies with other companies I thankfully finally discovered VetsMediCover. It is the most comprehensive, straightforward, cost effective cover I have ever had. Being with VetsMediCover gives me complete peace of mind that I can give the best treatment available to my two cats Reggie and Scout at times when we have needed it most. I would highly recommend VetsMediCover over all other providers as their exceptional customer service and no hassle cover makes them experts in pet insurance. Please feel free to edit it as you wish because I have I said your cover has been absolutely the best so I will agree with whatever you write!" “I wanted insurance cover for my Labradors. I decided, after careful research that VetsMediCover would give me that peace of mind with £10,000 cover per year. Thank goodness I had their cover. Chad, one of my Labradors, developed two tumours in his chest near his left shoulder. He needed a CAT scan, soft tissue surgery and ongoing metronomic chemotherapy; all state of the art treatment. Without VetsMediCover I could not have afforded the treatment. Last year, it was £9,000. VetsMediCover paid the bills direct to my vet with speedy, efficient and courteous service, for that I will be eternally grateful. " Many, many thanks from me and Chad. "My boxer puppy had a respiratory infection, I took her to the vets and rang VetsMediCover for a claim form when I got home. The guy who answered my call said he would email me a claim form. I didn't have any ink in my printer, 'no problem' the guy said. 'I'll pop one in the post for you tonight'. The next day my claim form dropped through my letter box. On Marnie’s last check up at the vets, I left the claim form for them to fill in and send off. Today I received confirmation from VetsMediCover that my claim will be paid into my bank account. This took two weeks from the time I left the form with the vets. Thanks very much for the prompt attentive service."